What happens when you get fake and dubious spare parts from online or offline stores? How many times have you realized that the product you have bought lacks some important features and quality? Remember, these are the very common problem to occur if you are not prepared. It can be avoided if you put some certain things in mind before you surf online or visit a physical store for buying spare parts. If you opt to visit a physical store, then you should visit authorized dealers. For example, if you have a vehicle of Mahindra, then look for Mahindra spare parts dealers and get the right products. However, you can compare prices with other dealers too for the best prices. Whether it is online or offline spare parts store, both hold some pros and cons. There is a sense of fear whether you are being screwed when you shop from an online store. Similarly, there is always a doubt about whether the products are genuine when you buy them from the physical store. Have you ever thought that we can easily avoid all these problems? Yes, we can avoid this. All we need to do is to keep some buying tips in mind before heading to the spare parts store or surfing online shopping sites. So, here we go! When you shop from the offline or physical shopping store, you have the option to check if the seller is authorized while it is equally difficult to find out the right seller from e-commerce site because there are hundreds of online shopping sites and e-commerce sites available. Buying from unknown site or seller can be the risky one. So, do not make any deal with the seller you are not sure of. However, the genuine website or e-commerce site never asks for banking details before the order is placed. Besides, be sure if you are buying the original products. Unless you are a regular buyer, you can never know the right products and the best price without research. So, never believe on one site, even if you are confident that you are getting the product at the right price. In fact, the rule says that there is always a second option which may bring a better option than the first one. So, never settle for the first option at once. Better, take some time and do research from multiple sites. 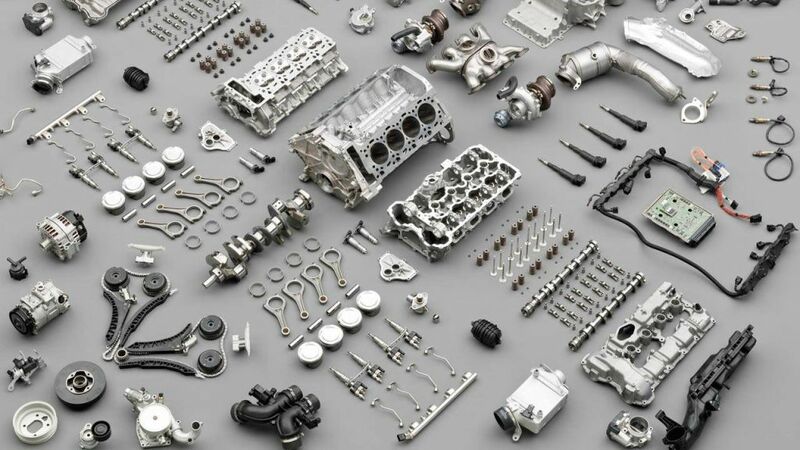 To check the products you are buying are original spare parts, go through the particular brands’ site and compare the product if it is the same. To find Mahindra genuine parts, you may need to visit Mahindra spare parts distributor sites to get the real one. Besides, go through the guiding manual of the OEM (Original Equipment Manufacturer) product and check the product’s details, description, and compatibility. This is important when you do shopping in a physical store. There may be several spare parts stores in the same region. If there are two Mahindra spare parts dealers in the same region, then visit both shops find the best price option right there. In case, you find the same products at cheaper price from other shops, then you should be open for the option. However, make sure that the shop is reliable and you will not be tricked by fake products. These are the thing which is most important part to look, but most of us ignore this and buy products without going through its guarantee or return policies. In case, the product turns out to fake, you should have the option to get the replacement of the spare parts. Besides, never buy any product which comes without warranty or Guarantee. If you want to buy spare parts from online shops, then you should look for the best coupons for the product. There are chances that you may get a huge discount on your selected items. However, confirm through the physical shopping stores as they also provide unbeatable discounts. Last but not the least; there is end number of option available when it comes to shopping. This entry was posted in Mahindra spare parts, Uncategorized and tagged Mahindra spare parts on July 10, 2018 by dtsdev.